Afsal M Kottal, Managing Director from Phoenix Technologies, explains why they decided to take part in Gulf Print & Pack 2019, and in particular, the Innovation Trail at this year’s show. What are you showcasing at Gulf Print & Pack 2019? GMG Color: The latest color management solutions such as GMG Open Color, Extended Color Gamut (OGV/XG), separation and proofing technologies for offset, packaging, flexo and gravure printers. The industry's much awaited solution for creating color accurate mock up using patented GMG open color proofing technology and Epson 80600 solvent inkjet technology for offset boards, BOPP, PET, metallized etc. 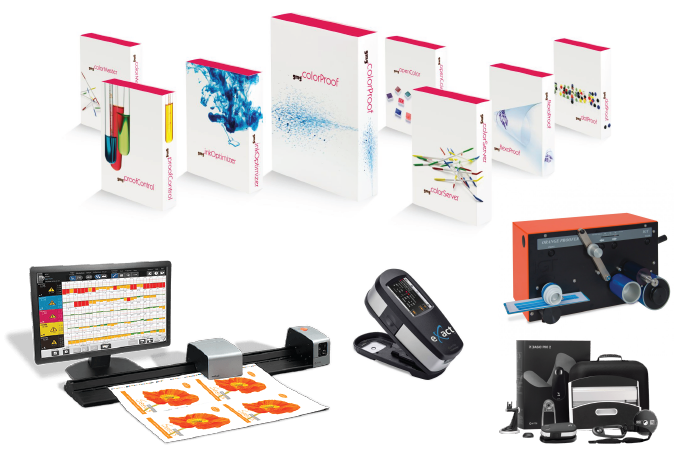 X-Rite Pantone: Color measuring spectrophotometers (eXact), ink formulation software, automatic scanning spectrophotometers (IntelliTrax), pantone live solutions and pantone certified printer programs etc. IGT: Ink Draw Down solutions for flexo, offset, gravure. Hybrid Packz & Arden Impact: Complete packaging workflow for flexo, offset, gravure. Global Vision: Automatic artwork inspection software. QC Equipments: From Hanatek and Haida. Print Smart MIS Software: Software for estimation, order management, material management, shop floor data collection, delivery and invoicing for flexo and offset packaging. Available in both rental basis and as a one-time purchase option. Ink Maker: Ink dispensing systems. Flexo plate cleaners, anilox cleaning systems and measurement units for flexo plates, aniloxes and gravure cylinders. Have you exhibited at Gulf Print & Pack before, and what benefit do you see in exhibiting at the show? Yes, we have been participating regularly since 2007. We will be able to inform printing and packaging companies who visit the event about successful case studies we have had over the last two years. We will demonstrate these solutions for them to understand and decide way forward. The quantities of production run have reduced considerably which means more make ready and more wastage if process control is not in place across the workflow. Color expectations of brands have reached Delta E tolerance of around 1.5 in ink kitchen and 2.5 in press room. These require color managed workflow and strict process control to achieve these targets with minimum wastage of time and material. We will be introducing more solutions which will assist our clients to improve quality, productivity and profits and this will help us achieve our business targets. As today margins are slim, to stay ahead of the competition print and packaging companies need to improve their operational side knowledge and implement the best production practices to save costs within the operations. They need to learn, document and implement continuous improvement processes. Unfortunately, we see printers still doing production with trial and errors due to lack of technical knowledge. For optimal output from their resources, printers need to have true shop floor data in their fingertips to understand where they are losing time and material and thereby profits. Business owners should implement solutions to collect true automated shop floor data such as DMI/ADCAM to understand and try to save from within operations. We at Phoenix strongly believe that “Actions speak louder than words”. And we want to demonstrate practical presentations to our clients than just telling them in theory about how our solutions will benefit them. So, we decided where better than Gulf Print & Pack 2019 to engage with solution seekers from the print and packaging industry. Can you talk us through the innovations you will be showcasing in your live demonstrations at the show? We will mainly have demonstrations of GMG Open Color, X-Rite Ink Formulation Software, Global Vision, Hybrid Packz and DMI. Visitors will learn how to optimize their pre-press, ink kitchen and press rooms with cost effective technologies and understand the technical aspects of how to implement the same in their workplace. As we all know, in the present scenario, competition is fierce, profit margins and run rates have reduced. But make ready and job turn around has increased tremendously. Printers need to have a very efficient workflow in order to reduce their costs within operations and our solutions help to implement the latest technologies to achieve this efficiency.